Choose one of the option below for donation. 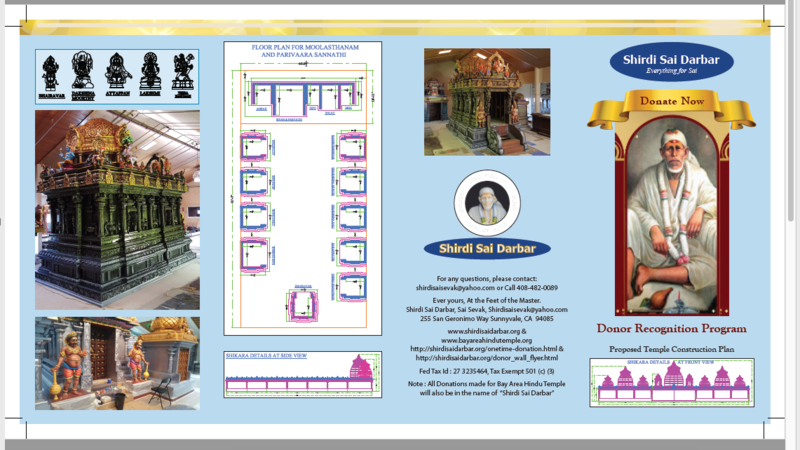 After receiving the much awaited temple construction permit from the City of Sunnyvale CA its time when we can boldly take the next steps in building Baba's temple here. We are in a historical moment in time. Our contributions now will go a very long way in preserving Baba's teaching and His name in the hearts and minds for generations to come. It's time for us to take ownership and take action and build the Best Sai Baba Temple in the Bay Area. Our temple will make Baba's teachings and His blessings available to us, our dear ones and for our future generations. 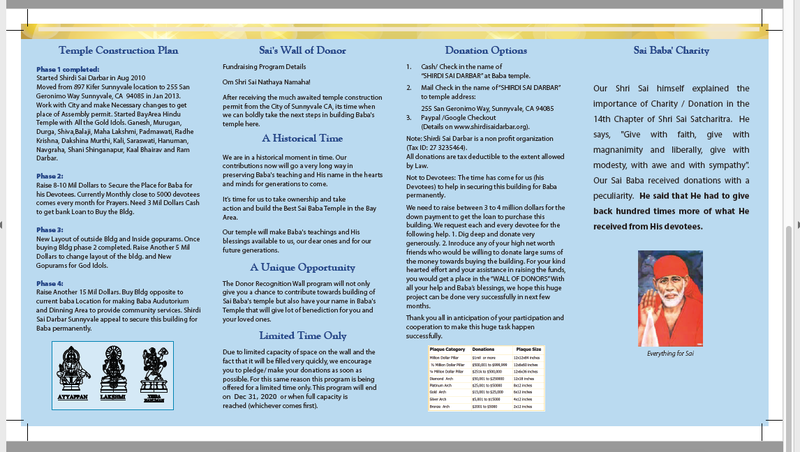 The Donor Recognition Wall program will not only give you a chance to contribute towards building of Sai Baba's temple but also have your name in Baba's Temple that will give lot of benediction for you and your loved ones. Cash/ Check in the name of "SHIRDI SAI DARBAR" at Baba temple. Paypal / (Details on www.shirdisaidarbar.org). 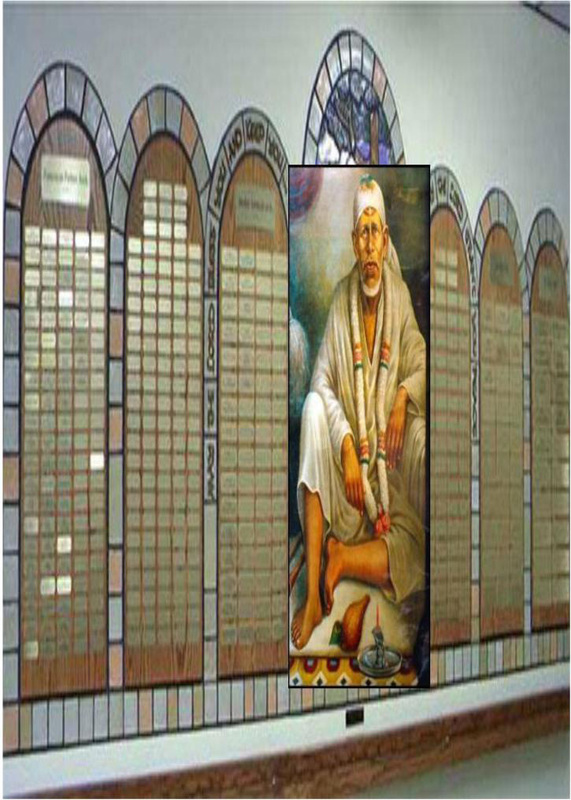 Note:Shirdi Sai Darbar is a non profit organization (Tax ID: 27 3235464). Due to limited capacity of space on the wall and the fact that it will be filled very quickly, we encourage you to pledge/ make your donations as soon as possible. The program is being offered for a limited time for this same reason. This program will end on December 31st 2018 or when full capacity is reached (whichever comes first).